I can still remember when I created my first Instagram account. It was a typical lazy night in college; I was lounging around on the couch with my best friend Monty. I snapped a photo of his cute pup, Shelby, and boom: I was an Instagrammer. For the next two years I posted selfies, sorority functions, and late night feasts. I had no idea it would one day be the catalyst for my spiritual ‘coming out’ and ignite a rapidly blooming career. After graduating from college in 2013 a series of events quickly catapulted me into a spiritual journey. My beliefs changed and my world felt new. I was raised in a relatively closed-minded, conservative, Catholic community and up until this point my life was very “normal”. I had never heard of chakras or energy healing, and tarot cards were a parlour trick I saw at the Renaissance festival. I found myself at a place in life where I felt uneasy expressing my new found spirituality with those closest to me and found myself very, very alone. I moved to Charleston, SC where I didn’t know a single soul, and I felt estranged from my “old” life, as if I couldn’t share any of my new found rituals with anyone from the previous chapters of my journey. I was practicing yoga and reading cards alone in my room, keeping my spirituality to myself. And so it all began. I set my intention and I reached out to this magnificent community for help and the dominos started to fall into place. My first Instagram connection was with my spiritual mentor, Lauren Aletta, creator of the Connected and Free Oracle Cards. She backed me whole-heartedly and encouraged me to show up, embrace my intuitive splendour, and embark on my own entrepreneurial projects. From there I found Tegan Sweeny of Colour Cult who designed my website, fit for a true Spiritual Entrepreneur. I stumbled upon Ethony, a true friend, business coach, passionate woman on a mission and creator of the Tarot Readers Academy of which I will be teaching for this summer. The #magictribe found me on Instagram via siSTAR, Rachel Webb of Soul Star Medicine and all of a sudden witchy women started coming out of the woodwork, reaching out with open arms. This is just the tip of the community I have found on Instagram. If it weren’t for Instagram I would never have met ANY of these incredible woman, I would have missed out on so many beautiful opportunities. The Universe has used Instagram to sprinkle synchronistic moments in my life. Instagram has gifted me the freedom of working remotely, allowing me to travel and schedule my life according to ME. I have reached clients internationally, working with students in Italy, Australia, New Zealand, and Finland! Platforms such as Facebook and Twitter often made me feel even lonelier than I already was, but Instagram offered a connectedness unlike any other. When sharing a special announcement or personal experience I can guarantee that I will be supported and celebrated. Although it is often frowned upon to start your day with social media, I am proud to say I wake up every morning to inspiring, intentional, and motivational Instagram posts. There is a love on Instagram that is overwhelming. The high vibrations of Instagram moved me to finally stand in my truth about who I am. Total strangers were honouring me for ME, so why not expect the people right in front of me to do the same? I can honestly say that thanks to Instagram I found confidence in my spirituality. I can now comfortably state “I am an Intuitive” when people ask what I do for a living and I am no longer hiding out doing readings in my bedroom. Social media life could enable you to stay hidden, but what I found on Instagram pushed me to jump out of the “spiritual closet” in my real life! In August, I will be attending a SUP Yoga Teacher Training with Stoked Yogi out in Colorado. I can already feel the significance of this retreat and I would have missed it completely if it weren’t for Instagram! I know that Instagram will continue to present me with enchanted opportunities and people. Want to know the most important discovery I have made via Instagram thus far? Why Raspberry Magazine of course! It is the driven women like Alana Wimmer that have shaped my journey. I want to extend a huge thank you to Alana and the Instagram community. You have changed my life and I will always be grateful! Madison Rosenberger is an intuitive, spiritual mentor, yoga teacher, entrepreneur, freelance writer, nurturer, and lover. Madison’s mission is to help others tap into their own spirituality, express self-love and live in the present moment. She believes in the intuitive power of her heart and the sensation of connecting without words. Madison’s yoga studies are vast including certifications in Aerial Yoga, Yin Yoga, Prenatal Yoga, Children’s Yoga, and Gentle Yoga. Madison also holds certifications in Advanced Akashic Records Reading, Reiki, Advanced Angel Card Reading, Assertiveness Coaching, Realm Reading, and the doTERRA AromaTouch Technique. Currently, Madison is in school working towards completing her Ph.D in the Natural Health Sciences. 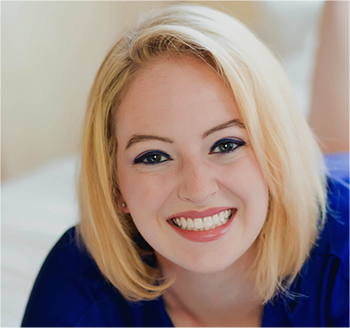 To book a one-on-one session with Madison, download her free eBook, “Self-Care as a Spiritual Act”, or check out her blog, visit www.madisonrosenberger.com.